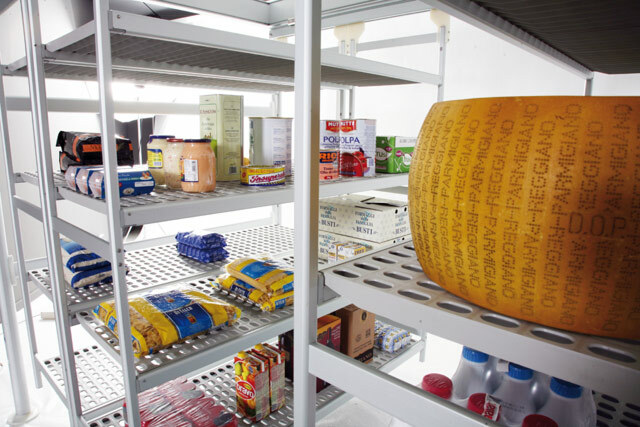 Example of increase in storage area in storage room measuring 10×5,7 m.
This new shelving model is the optimal solution for organizing and increasing available storage space. 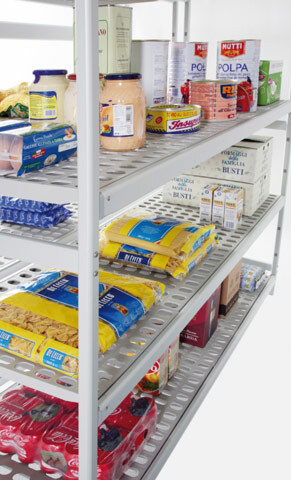 Its innovative, patented overhead sliding system, which runs smoothly and quietly, makes it the ideal choice for increasing storage surface area by between 25% and 90% compared to traditional shelving. 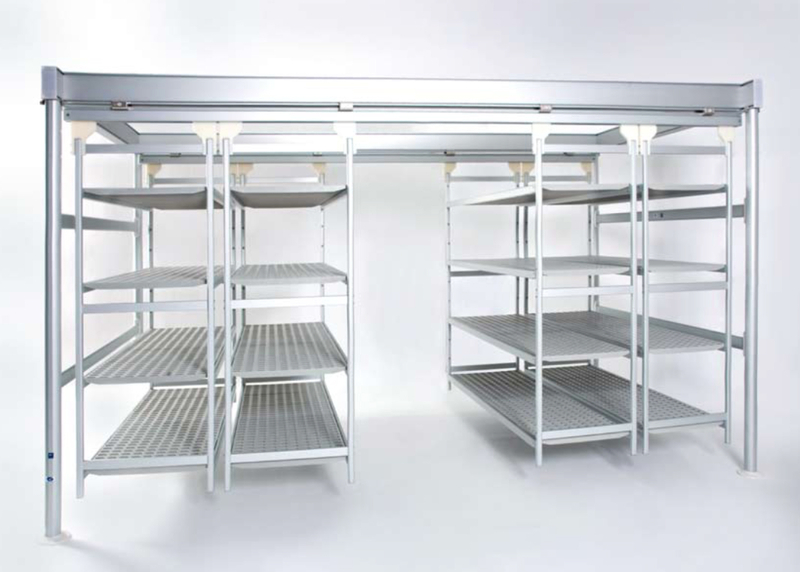 Made from anodized aluminium alloy with polyethylene or aluminium shelves, this shelving version rewards you with greater savings in terms of the amount of usable space; greater savings when it comes to installing cooling and air-conditioning systems, with the associated energy savings; and, because it is hung off the floor, the whole floor is easier and quicker to clean, thus resulting in a more hygienic space. 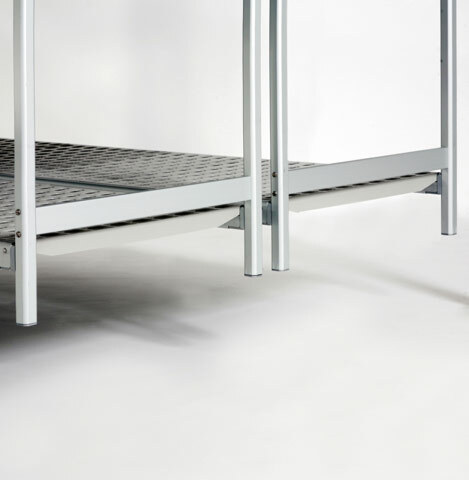 The modern, elegant design, reliable stability, ease of assembly and the impressive load capacity make it the ideal solution for anyone needing to organize and make the most of available space, meeting the needs of numerous different applications. Both stable and sturdy, they do not need any special fastening or anchoring, while they are built to take heavy loads with minimal bending. 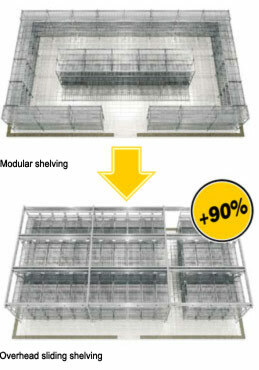 Each sliding module has a load capacity of approx. 400 kg, which amounts to 1,600 kg for a standard module. 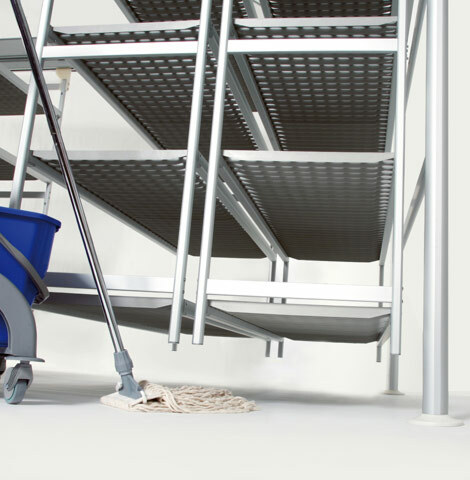 The smooth, rounded surfaces, the closed profiles, the total absence of gaps and cracks in which dirt can lurk and the innovative hanging system keeping the shelving off the floor – making the job of cleaning the space easier and quicker – combine to deliver a high standard of hygiene.